MANILA, Philippines — A sea of career opportunities await IT students and professionals as more and more companies avail of cloud computing, according to DataOne Asia (Philippines), an enterprise technology services firm. Cyril Rocke, president and CEO of DataOne Asia, said a number of companies that have migrated to the Cloud has more than doubled since 2011, which highlights the great potential of the Philippines to become a platform for cloud-based services. Rocke reveals that cloud computing is holding much promise for any industry and is encouraging a new breed of university or college IT graduates to handle the expected shift towards cloud computing. “In effect, the demand for hires who are knowledgeable about Cloud and virtualization technologies will become even higher,” Rocke said. Since cloud computing has minimized the need for businesses to acquire in-house IT infrastructure and has urged companies to rely on Cloud service providers, Rocke believes that even IT professionals will need to evolve to enable steady function of Cloud services directed at multiple users. “Because of the Cloud, IT professionals will no longer be much involved in hardware repairs or troubleshooting of servers as in the past. They will become service-oriented, and less hardware-oriented,” Rocke said. Rocke added that since many employers have already learned their lessons in building their IT infrastructure, they expect IT recruits to possess three main technical qualities that will ensure sustainable operations. First, he believes that graduates should be familiar with applications and infrastructure. “A company’s chief information officer (CIO) would expect his IT staff to know how to roll out applications and infrastructure in the most effective manner. This means that the recruits should know how to procure virtual machine providers from Cloud providers such as DataOne, instead of expecting their company to acquire more hardware,” the executive said. Rocke noted that IT recruits should be aware of the benefits of cloud computing, especially when it comes to software deployment and management. 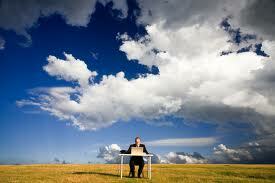 “IT hires should be aware of how cloud computing has made software applications readily available. The IT hire should also be aware of the wide range of software that are available on the Cloud, such as email, payroll, sales force automation, and enterprise resource planning,” Rocke explained. The executive also stressed on the need for IT graduates to be knowledgeable about security issues and the process of encryption, especially with the growing cyber-warfare and cyber-espionage directed at critical industries. Aileen Martinez, DataOne’s Data Center and Network Operations Senior Manager, said that aside from knowledge and other technical skills, an aspiring IT staff must possess the right attitude, which should help them manage their time and work programs. Martinez said cloud services are very in-demand today because they are easy to deploy and to sync in a company’s processes and existing IT systems. Some of these companies have very challenging lead times to implement their Cloud projects. “People skills remain an important attribute because these recruits will most likely work in a team of more experienced engineers. It is important for the recruit to make himself valuable to the team and avoid making any conflict,” Martinez said. Schools, governments charge into the cloud — why not businesses? Can Cloud Computing Effectively Help Prevent Cybercrime?